Road tripping is undoubtedly the best way to experience the sites of our vast nation – with thousands of Australian families hitting the road each holiday period in pursuit of new adventures, spectacular sights and memorable destinations. 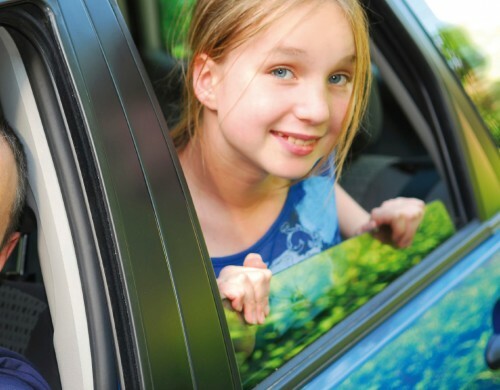 Playing ‘car trip games’ that keep your mind occupied is actually a great way to avoid motion sickness , especially with car sick prone younger children – but its also a great way to pass the time, which is why we’ve devised this short list of our favourite travel games to play in the car on those long dreary road trips. You can’t overlook a classic. “I spy with my little eye” is a traditional road trip slogan, followed by “…something beginning with” (insert first letter of an object for the other passengers to guess). Usually the person who guesses correctly kicks of the next round, however, if you happen to have a know-it-all in the backseat, it might be best to take in turns. “Something beginning with D” – for dirt, or ‘S’ – for shrub. You might need to get creative! Avoid the questions you don’t want to hear… like “are we there yet?” – and try this classic time-killing travel game. One person thinks of an object, and everyone else has 20 questions to figure out what it is. The person who chose the object in their head can only answer yes or no, whilst the others compete against themselves to be the first to guess correctly, everyone else gets another guess! Make it a little easier by designating categories at the start of the round, eg: Food, Animal or Household Object. Competitive Games: where you collect letters you find on plates to spell a name (Ben will probably always beat Alexandra) or other words of the same length. For the mathematicians – first to add/subtract/multiple/divide license plate numbers to reach a certain figure, or complete a Times Table. You can work as a team to complete the alphabet, or, first one to fail to think of anything (given perhaps a 10 second time-limit) is out, and last man standing wins. For those who love their geography, you can try countries of the world (all but W – X is possible!) or other cities or states – there’s a U.S State for all but 7 letters of the alphabet… Good luck! etc. etc…. until someone makes a mistake, and then they’re eliminated! If this becomes a short game (bad memories), sometimes it’s easier to list in alphabetical order! Combine alphabet games with memory games, and you can choose any topic (Celebrity Names, Food or Drink Brands, Animals…) and have a lot of fun! Try remembering 17 Celebrity names, and THEN add a new celebrity starting with the letter ‘X’! As is the case with many long road trips, the DJ duties become an honour, and serious responsibility… music is often the only thing keeping you sane! One fun music travel game – turn on any mainstream radio station you can find, or hit shuffle on a ‘popular’ playlist, and play ‘first person to guess the song,’ with bonus points for title and artist, movie or television show featured in, and even main acting roles. Keep a tally, and see who knows their pop-culture best! Of course, we couldn’t leave out a good old game or travel bingo! 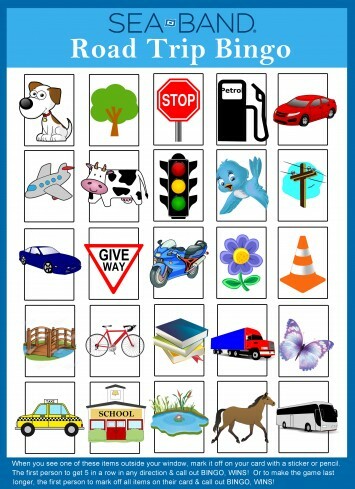 Great for keeping children entertained in the car, as they try to tick off a list of objects to spot along the way. As you can see, we’ve created our own Sea-Band travel bingo card, so make sure you print off as many as you need before you hit the road on your next family road trip! 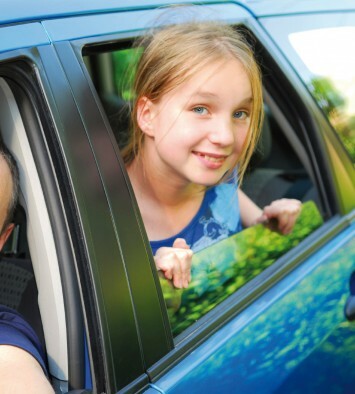 So whether you have a car load of kids, or a car load of mates, this list of games to play in the car to pass the time on load road trips should keep you entertained between departure and destination. Similarly, Sea-Band has both adult and child products, to help fight the different forms of nausea, including travel sickness. Please don’t hesitate to contact us for more information about any of our products, or leave a comment with your favourite road trip game for others to try next holiday period!